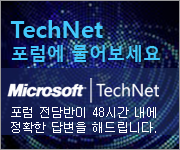 다음은 SQL Server 2014 Enterprise edition Server/CAL 라이선스에서 Core-Based Licensing 에디션으로 변경하는 방법입니다. 설치 미디어를 넣고 관리자 권한으로 명령 프롬프트를 실행한 후 다음 명령을 수행하여 업그레이드를 수행할 수 있습니다. 올바르게 변경되었는지 확인하기 위해서 SELECT @@VERSION 혹은 SQL Server ERRORLOG 를 확인하여 현재 Enterprise Edition 이라고 되어 있는 부분이 Enterprise Edition: Core-based Licensing 으로 바뀌었는지 확인하시면 됩니다. 클러스터 환경에서는 한 노드에서만 수행해 주시면 됩니다. Active node 에서 업그레이드 하고 Failover 하여 반대 노드에서 변경된 것을 확인해 주시면 됩니다. 에디션 업그레이드 과정에서 서비스가 자동으로 재시작 되지 않으므로 변경 사항 적용을 위해서는 수동으로 FAILOVER 하거나 SQL Server 서비스를 다시 시작해야 합니다. Running edition upgrade on one of the nodes of SQL Server cluster is sufficient. This node can be either active or passive, and the engine does not bring the resources offline during the Edition Upgrade. After the edition upgrade it is required to either restart the SQL Server instance or failover to a different node. 동일한 명령으로 에디션 업그레이드 가능합니다. 다만 업그레이드가 진행되는 과정에서 자동으로 SQL Server 서비스가 재시작됩니다.